A new song cycle by Luke Styles alongside music by Vaughan Williams with Tenor Mark Padmore. Britten Sinfonia Academy: At Lunch Four (Cambridge) – The Academy take centre stage in this concert which features a new work by Josephine Stephenson. 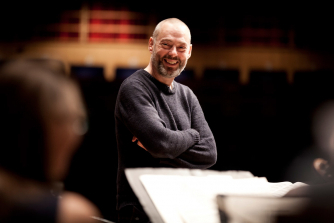 Tenor Mark Padmore is joined by principals of Britten Sinfonia for the London première of a new song cycle by Luke Styles, former Young Composer-in-Residence at Glyndebourne. The programme is crowned by Vaughan Williams’ On Wenlock Edge, which depicts rural life at a time when the First World War was drawing near.